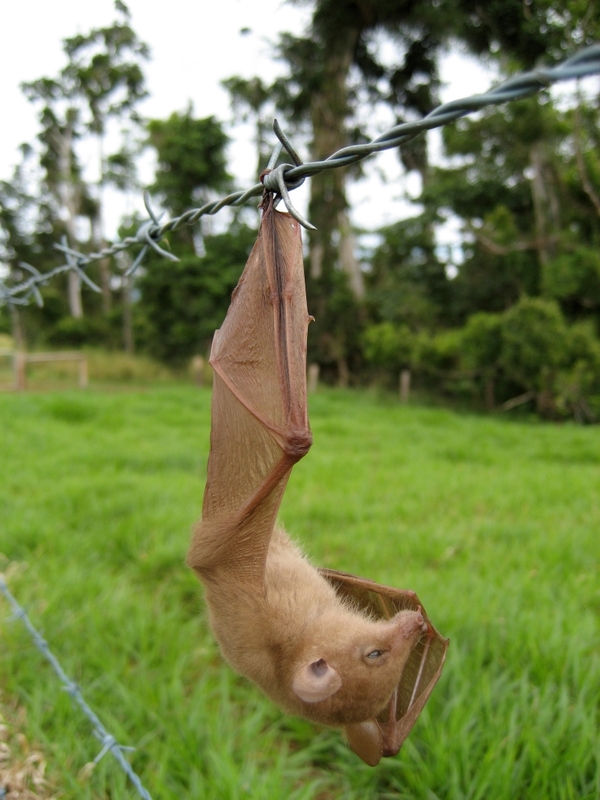 We rarely get blossom bats into care, but they have all come in from entanglement on barbed wire. Many die from exposure on the fence, because they are so small (1o-20gms) and burn up energy very fast. We use a diet originally developed at the Territory Wildlife Park near Darwin, but has been modified along the way by different people. Freeze in small blocks and bring out as required to come to room temperature. Feed about 15mls a night in shallow containers e.g. lids from fruit juice bottles. They especially like banana flowers and Myrtacae family blossom. 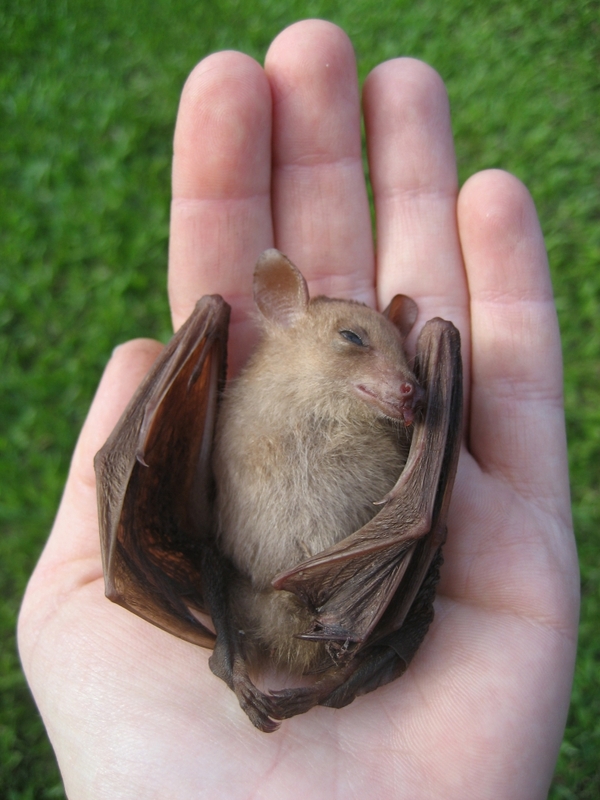 There are 2 species of Blossom bat in this area, the Northern blossom bat (Macroglossus minimus) and Eastern/Common blossom bat (Syconycteris australis). The Syconycteris consumes some fruit especially figs and syzygium, but otherwise their diet is pollen and nectar. Although very similar in appearance, Syconycteris is slightly larger (17 – 23 gms) and ‘psycho’ with handling compared to the much calmer Northern species (10-20gms). 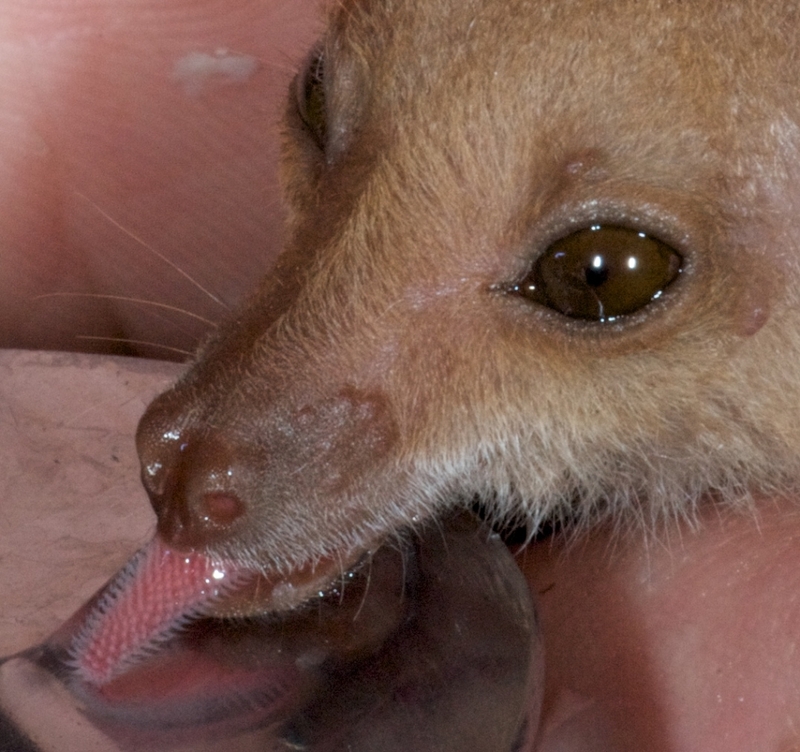 The Northern has narrow skin flaps along the inside of the legs and a very small stub of a tail. 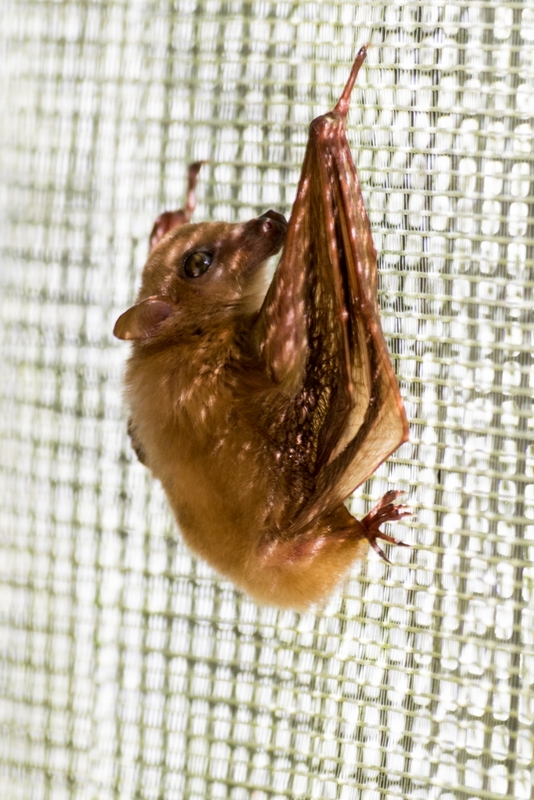 We regularly find Blossom bats caught on the barbed wire fence along the Palmerston Highway near Innisfail. 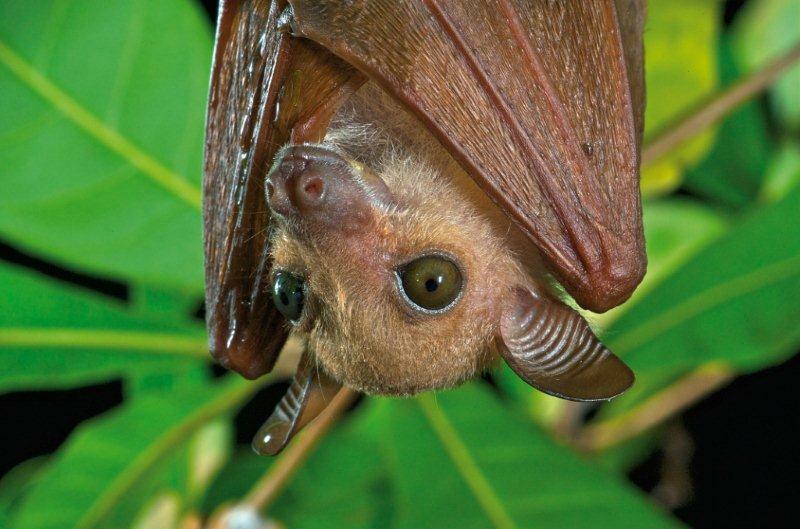 This is the bat in the photo above, showing how small they really are. They die very quickly when exposed on barbed wire fences. This Syconycteris had difficulties with hanging and wrapping one wing, and occasionally hangs by his thumbs. He flies well in our cage but would not fare well in torrential rain, unable to fold his wings well enough to shed water.